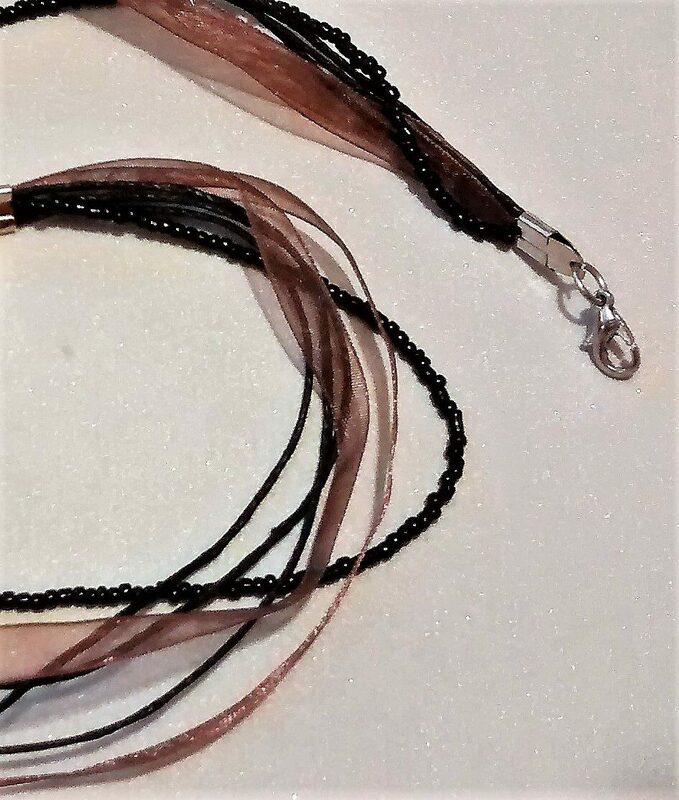 This is a new category that I am featuring for focal drops and chains that you can Mix-n-Match. 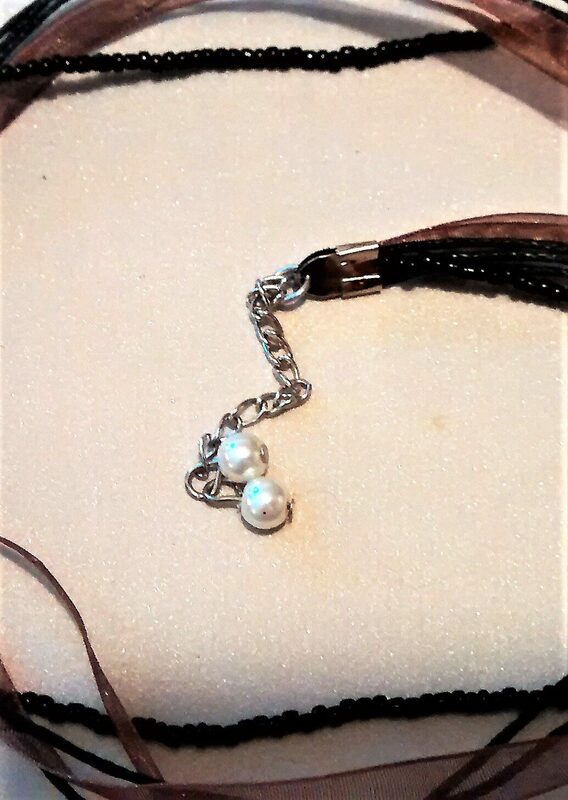 You can put these together for a stunning necklace or bracelet, or you can use the focal/drop, as a stand alone, in your craft project. 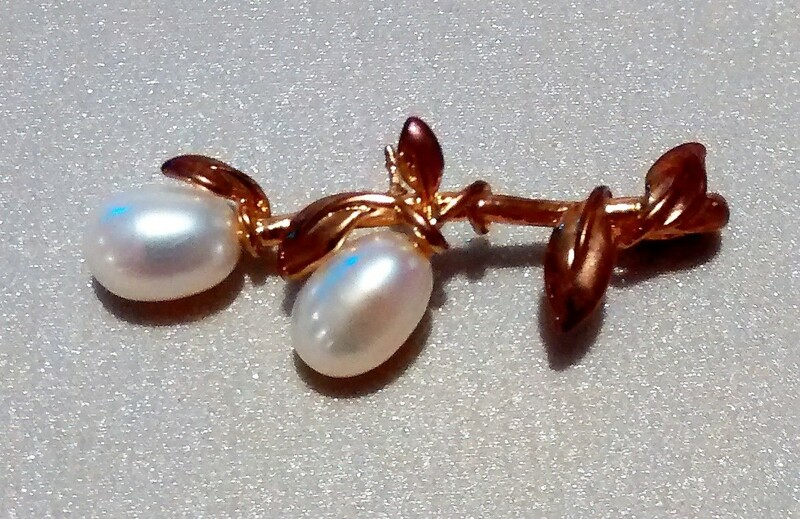 A very pretty gold toned delicate branch with two pearls attached. Lovely. The gold looks antiqued. 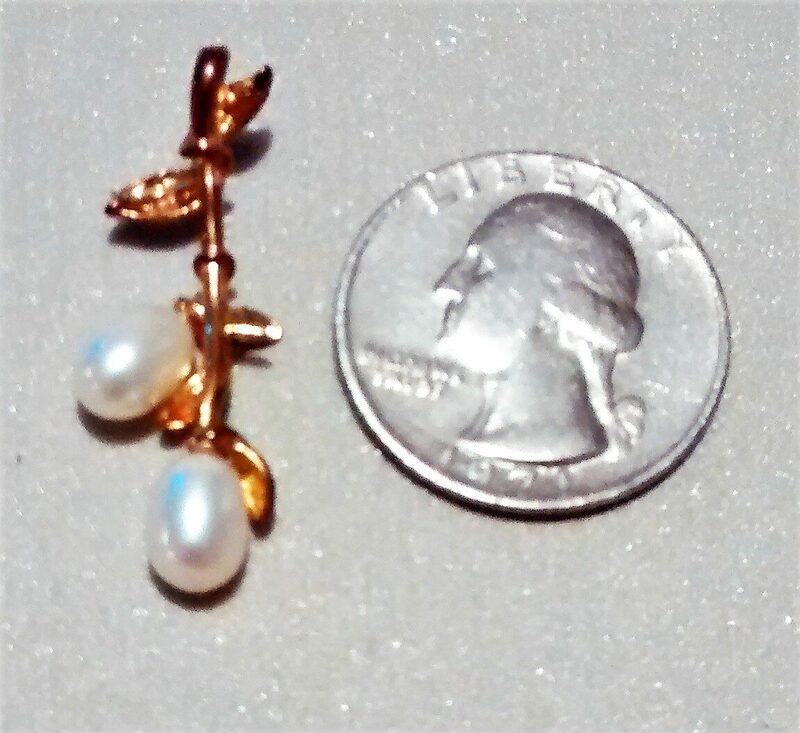 A little less than 1 1/2 inches in length. Please check the pictures for detail. Remember, I charge just one flat delivery fee of $6.45, no matter how many items are ordered at one time. Thank you. 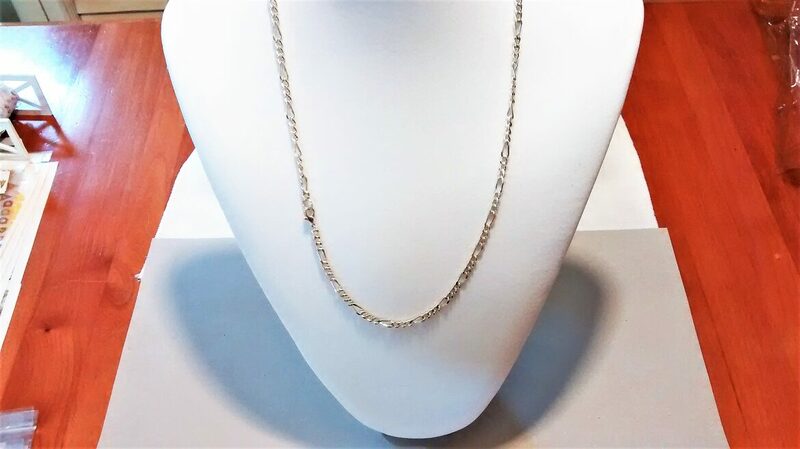 This is a 17 1/2 inch necklace made to support a drop or focal piece of jewelry. 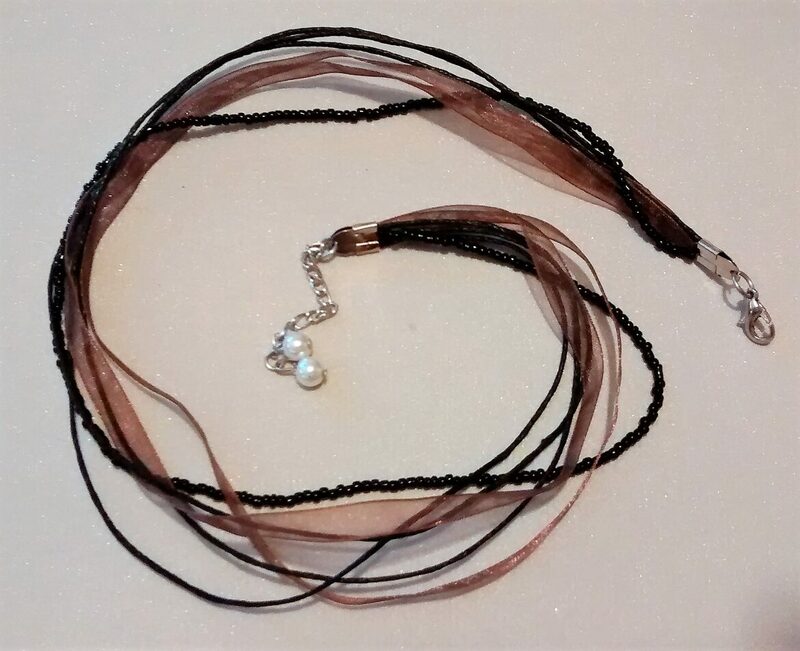 It is made of ribbon, beads and cording with an 2 inch extension that has two pearl beads on the end. This makes it stand out from the rest. 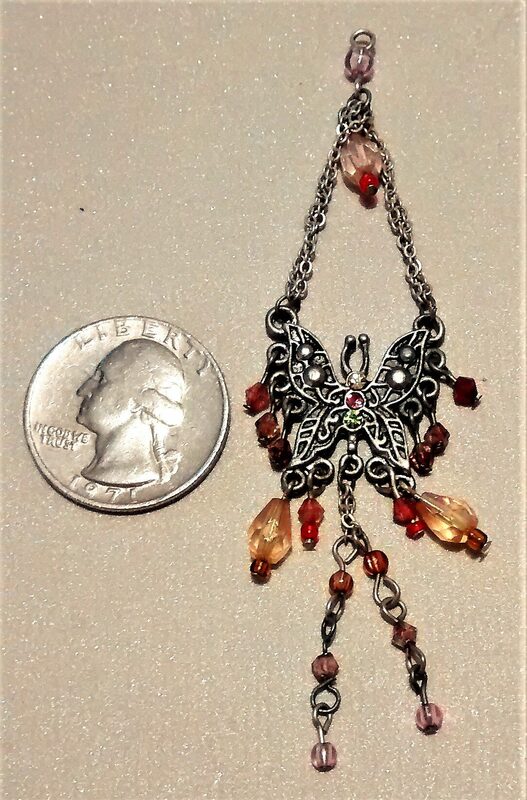 I have an example of this necklace paired with a drop, if you'd like to see it. 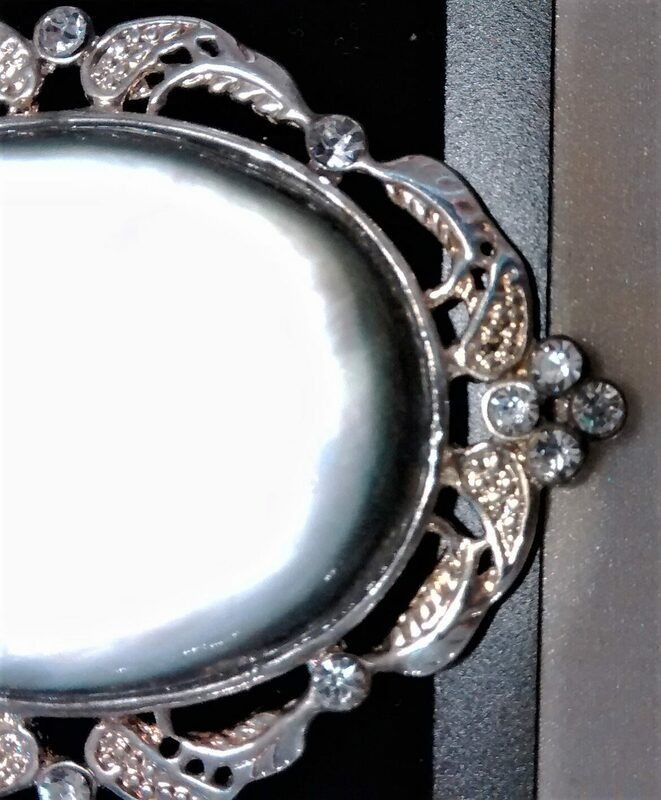 Please go to the JEWELRY section (OJN-132). Remember, I only charge one delivery charge of $6.45, no matter how many items are ordered at one time. Thank you. Mix-n-Match. 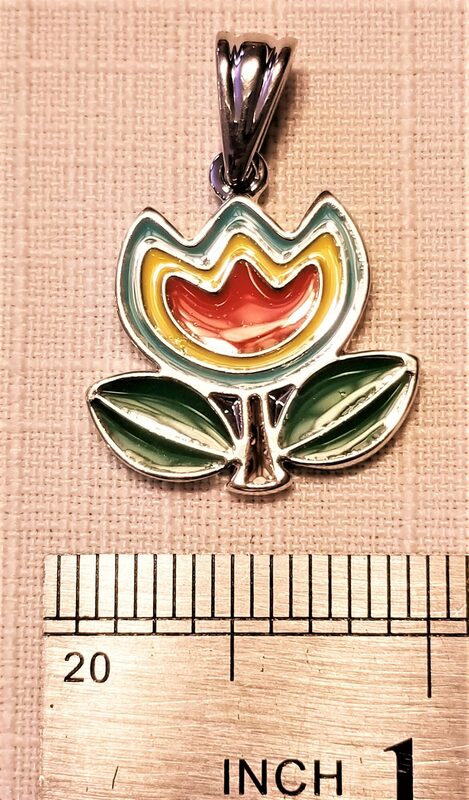 You can put these together for a stunning necklace or bracelet, or you can use the focal/drop, as a stand alone, in your craft project. 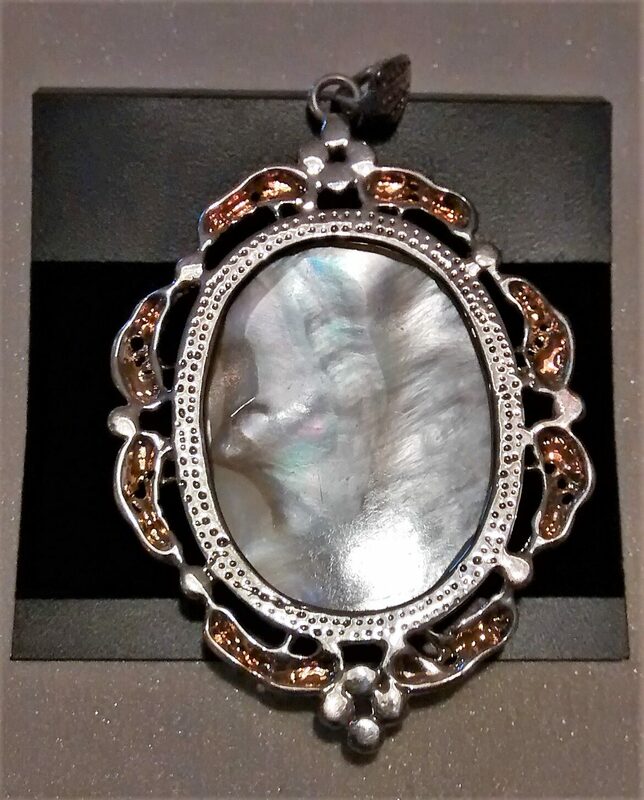 This is a large, gorgeous, focal, of a mirror surrounded by a brass colored metal frame with an all around wave design. 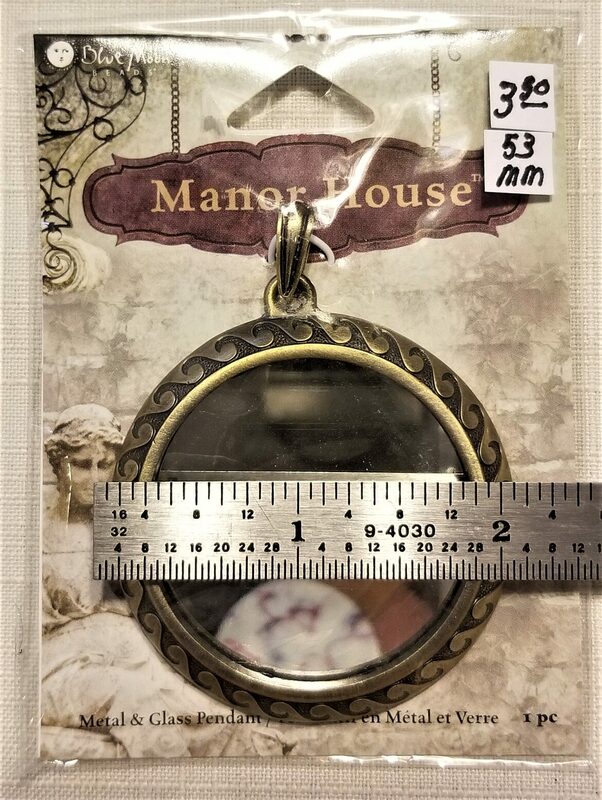 53mm in diameter or 2 5/8" in height with bail and 2 1/4" in width. Very attractive. 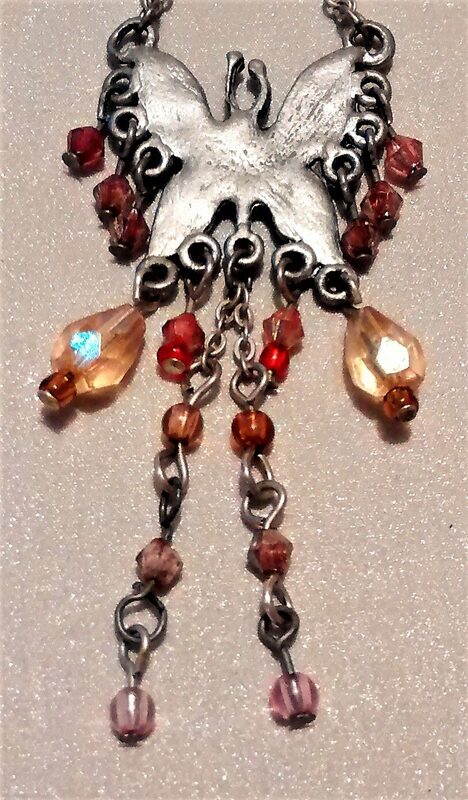 This can be used in several crafts, from necklaces, altered art, shadow boxes, etc., to make a statement. Please check the pictures for detail. Please remember, I charge just only one delivery fee of $6.45, no matter how many items are ordered at one time. Thank you. 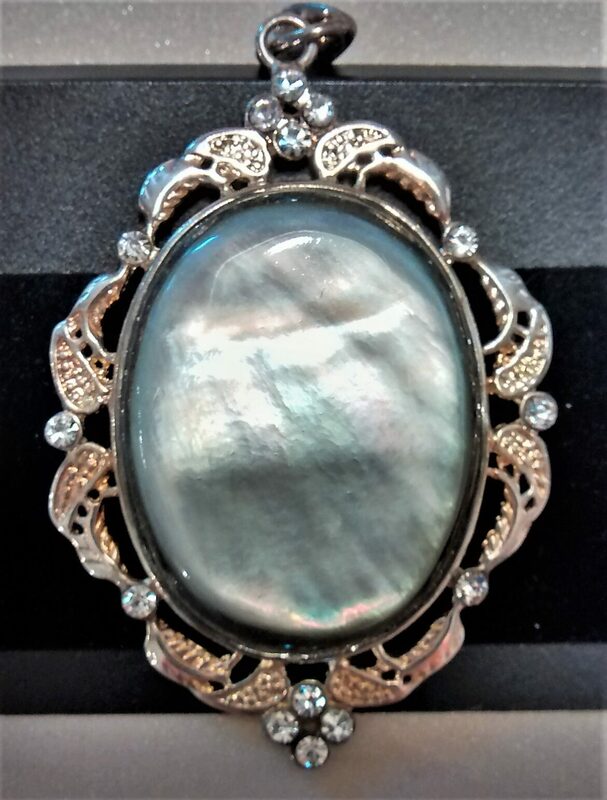 This is a beautiful, large, 2" x 1 1/2" drop/focal that has a gorgeous mother of pearl inset and filigreed (antiqued gold) frame with rhinestones inset around. 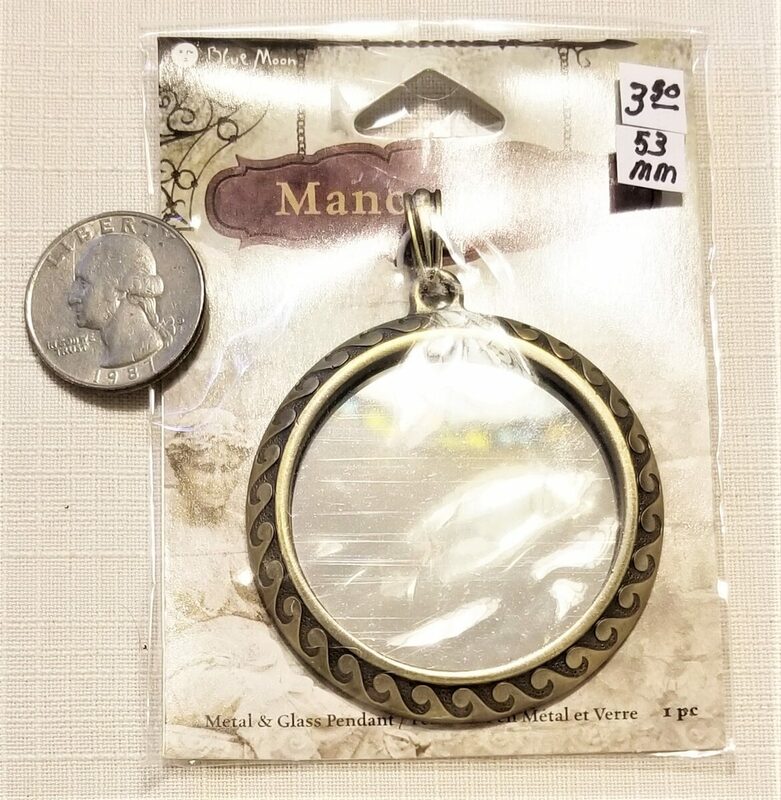 Can be used in several crafts, from necklaces, altered art, shadow boxes, etc., to make a statement. 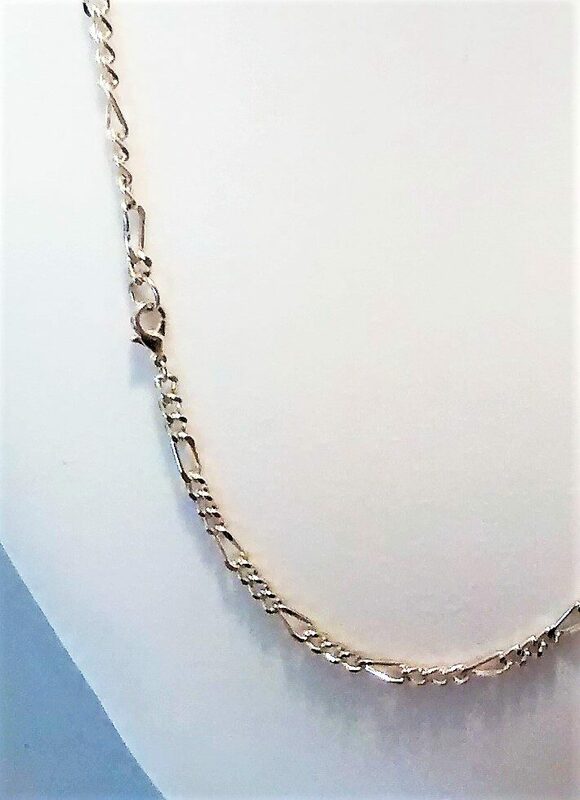 This is a link, 24 inch, silver-toned necklace. 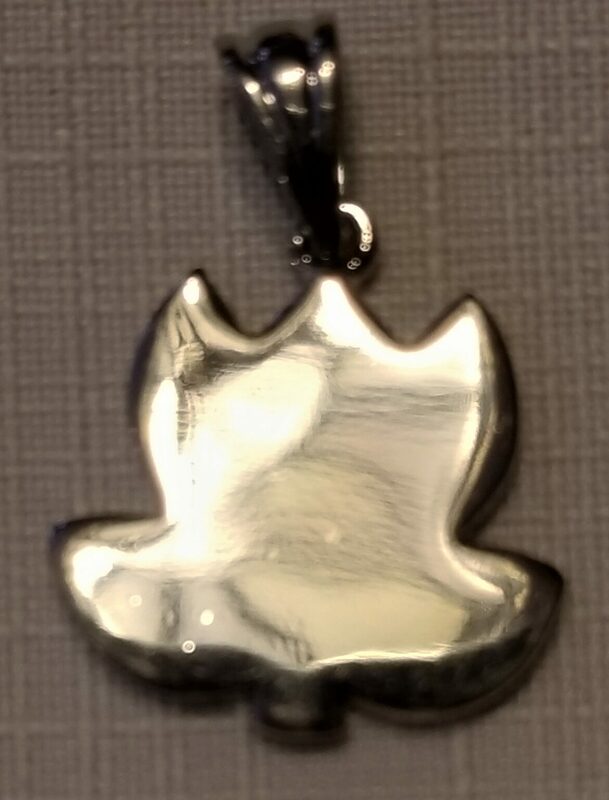 No markings. Looks to be in good condition. Bright and shiny, very attractive. 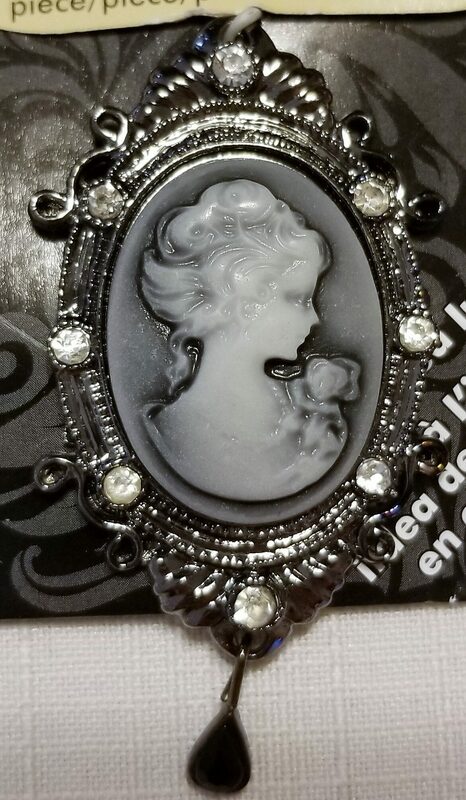 This is a gorgeous, focal, of acrylic / glass rhinestones around frame in a gunmetal-finished "pewter" (zinc-based alloy), black, white and grey, 65x35mm oval with cameo design. 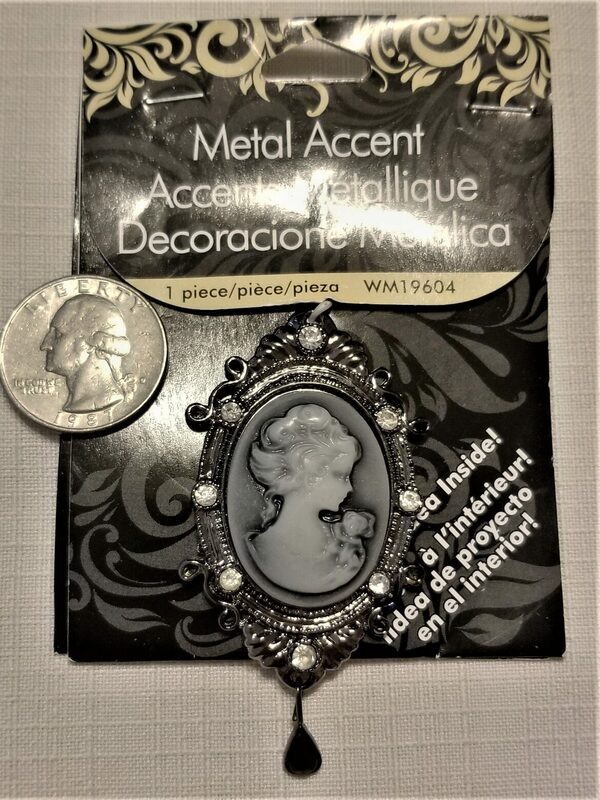 This can be used in several crafts, from necklaces, altered art, shadow boxes, etc., to make a statement. Please check the pictures for detail. This is a new category that I am featuring for focal drops and chains that you can MIX -N- MATCH. 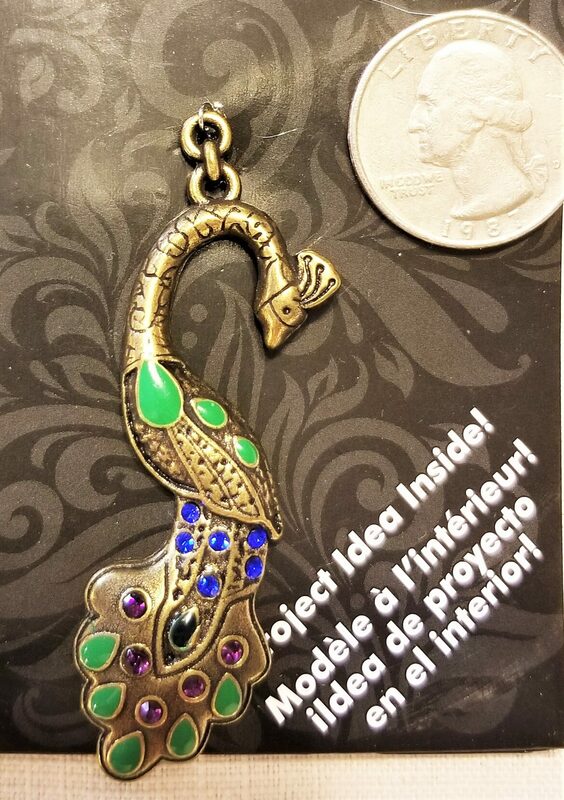 You can put these together for a stunning necklace or bracelet, or you can use the focal/drop, as a stand alone, in your craft project. 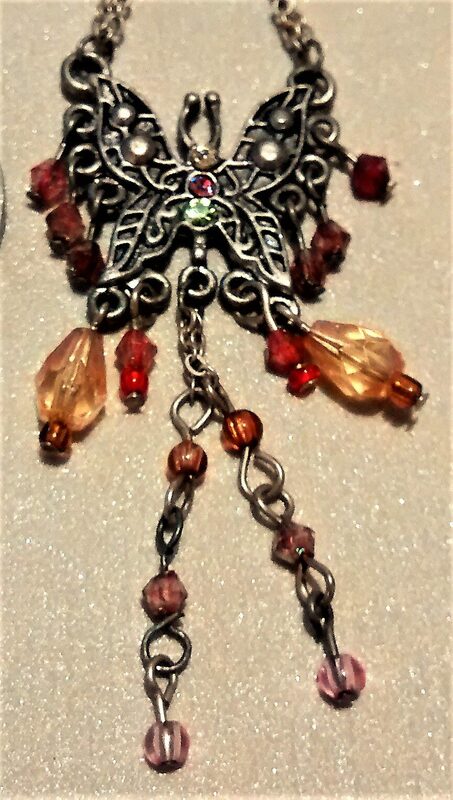 An antiqued silver butterfly that has assorted faceted glass and crystal drops in fall colors hanging from it. 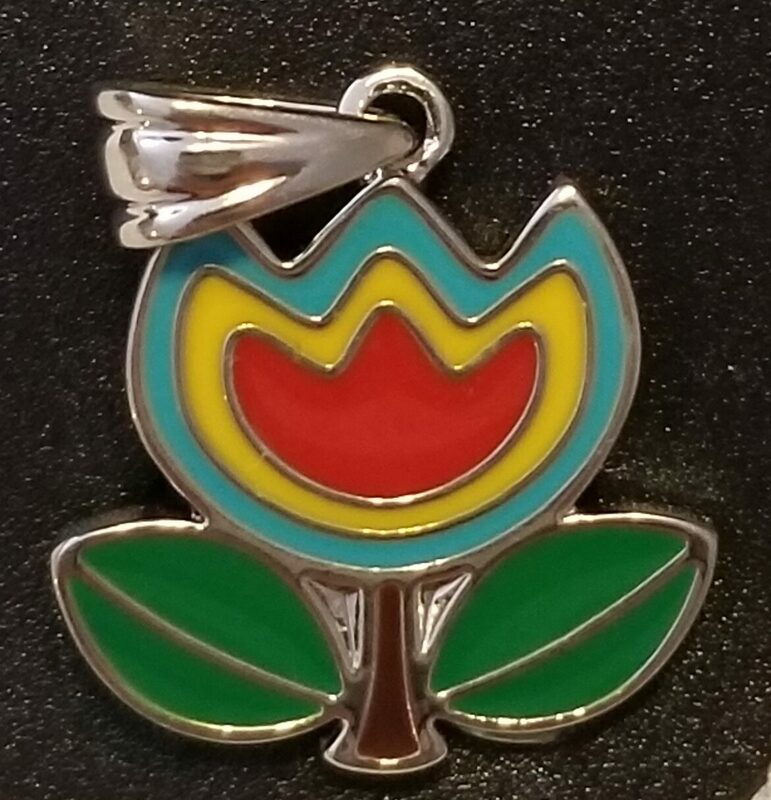 3 1/2" in length and 1" in width. So feminine. Remember, I charge just one delivery fee of $6.45, no matter how many items are ordered at one time. Thank you. 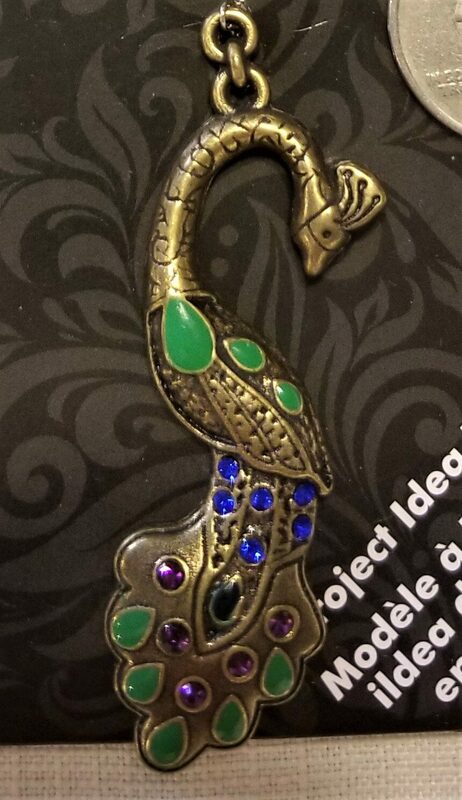 A gorgeous Peacock that is embellished with enameled accents and glass rhinestones. Colorful and pretty. 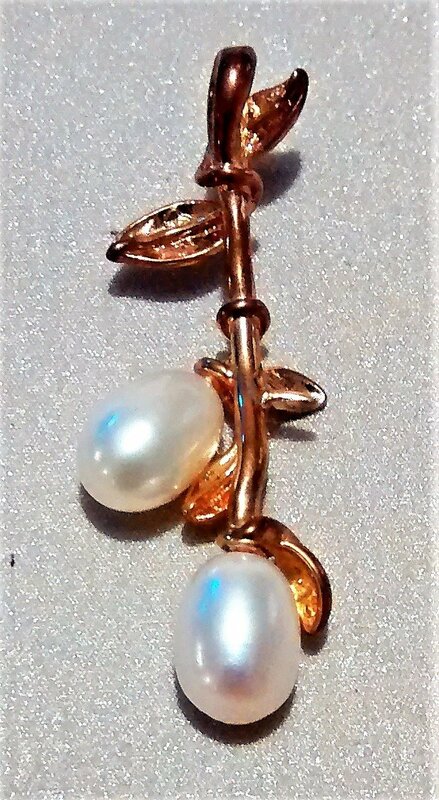 Made of an antique gold tone metal. Approx. 2 1/4" in length. 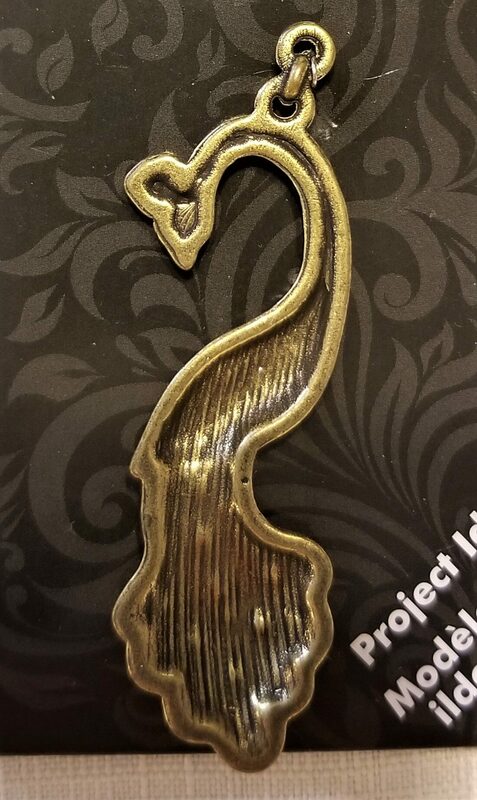 Great piece for necklaces, or as an accent in other crafts. 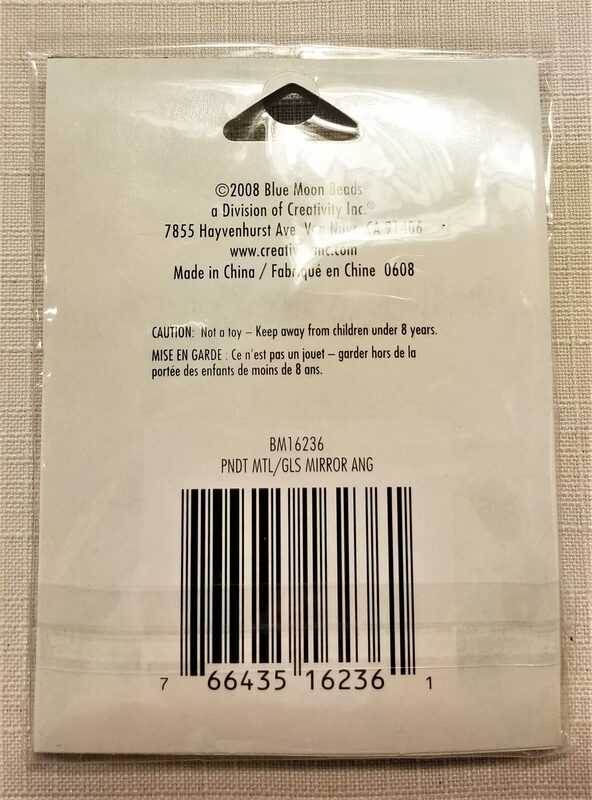 Remember, I have ONE FLAT FEE for shipping- $6.45, no matter how many items are ordered at one time.Thank you.